I visited Argentina on a four week long BirdQuest trip in 1997, however the following year they added extra areas and divided the tour into two, one to the north and the other to the central and southern regions. Thus I would have to go back and do both tours if I was to get to see the majority of the birds of this fascinating and scenic country. One bird I particularly wanted to see was the beautiful, yet rare Hooded Grebe, in 1997 we visited the lake where it was first described in 1974 but it was only an occasional visitor to this lake and we dipped. Subsequent tours drove to the lakes on the remote plateau in southern Patagonia with considerable success but a recent article by the Neotropical Bird Club indicated that the species was now facing many problems and was heading for extinction. If I wanted to see it I need to go now! The account of the search for the Hooded Grebe will be posted later. This post covers a pre-tour day in the capital plus a day with the group in the same area five days later. The international airport lies someway from the centre but at the end of the tour we returned from Patagonia to the domestic airport which is situated on the shore of the huge Rio de La Plata, close to the downtown high rise apartments. 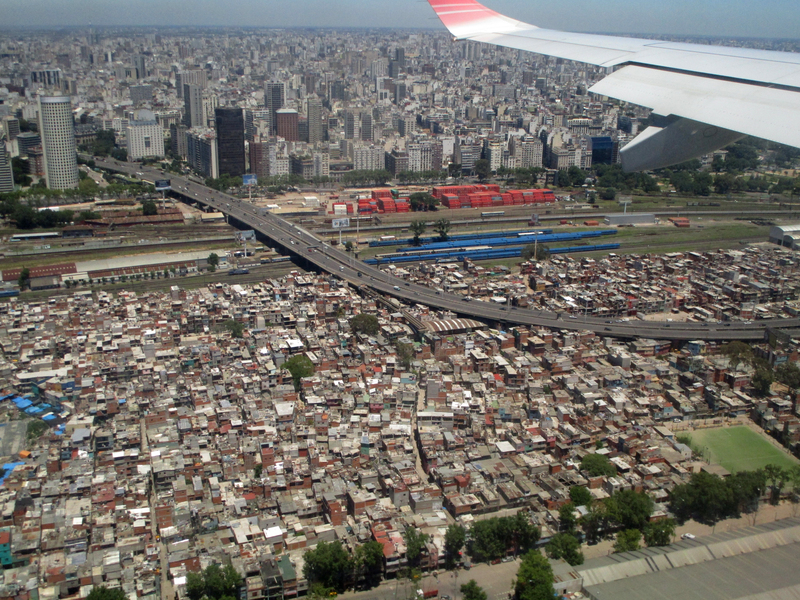 Buenos Aires is a very modern and prosperous city, however as can be seen from this aerial shot more basic accommodation exists sandwiched between the railway line and various freeways. Flying into the domestic terminal you get a very good view of the main birding site in Buenos Aires, Costanera Sur. Popular with locals as a place to relax, jog or picnic it is an outstanding nature reserve, but in recent years the open water and muddy pools have been colonised by vegetation and now the only place to watch the once abundant wildfowl is the narrow strip of water between the park entrance and the high rise blocks. The tour started in the city of Cordoba, but I decided rather than continue on to Cordoba from Buenos Aires to stay overnight and bird Costanera Sur in the afternoon. Having met up with my room mate Terry at the airport we dropped our gear off at the hotel and got a taxi into the downtown area where we first walked along the promenade that runs parallel to the park. 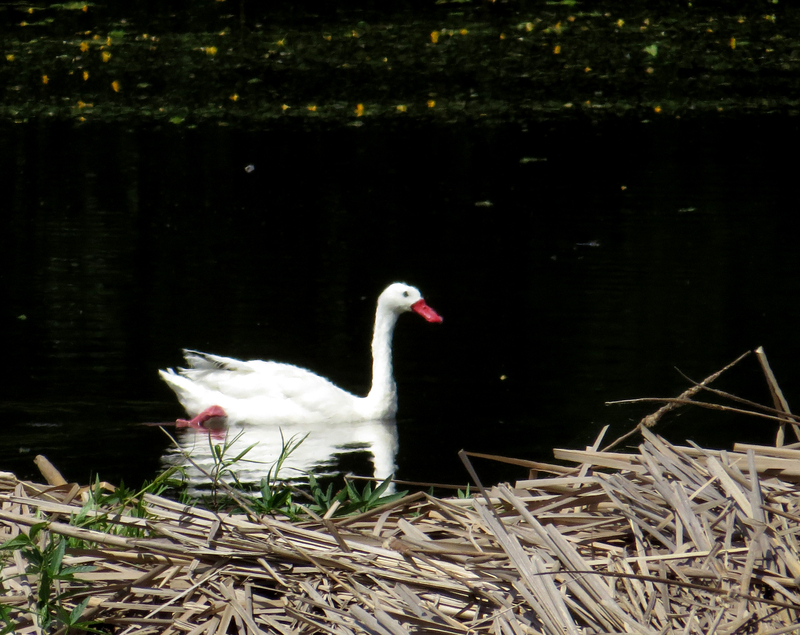 The first birds we saw were a family party of Coscoroba Swans …. …. but soon we found something much rarer, a pair of Ringed Teal, a scarce duck that I have managed to miss on all my previous visits to South America and which was the last waterfowl for my Neotropical list. It was very hot out on the promenade and we were glad to enter the park and get into the shade. On previous visits to Costenera Sur I have seen such goodies as South American Painted-snipe and Spotted Rail but now with most of the open water closed over pickings were thin …. … as well as commoner species like the widespread Great Kiskadee …. …. the common Picazuro Pigeon …. …. and the vociferous Monk Parakeet. The once common Coypu aren’t so easy to see now that most pen water has gone but we saw a few endearing Brazilian Cavies (or Guinea Pigs) on the paths. The first four days of the actual tour were spent in the Cordoba region (see next post) but on day five we were back in the Buenos Aires area and paid an early morning visit to Otemendi, a reserve to the north-west of the city. 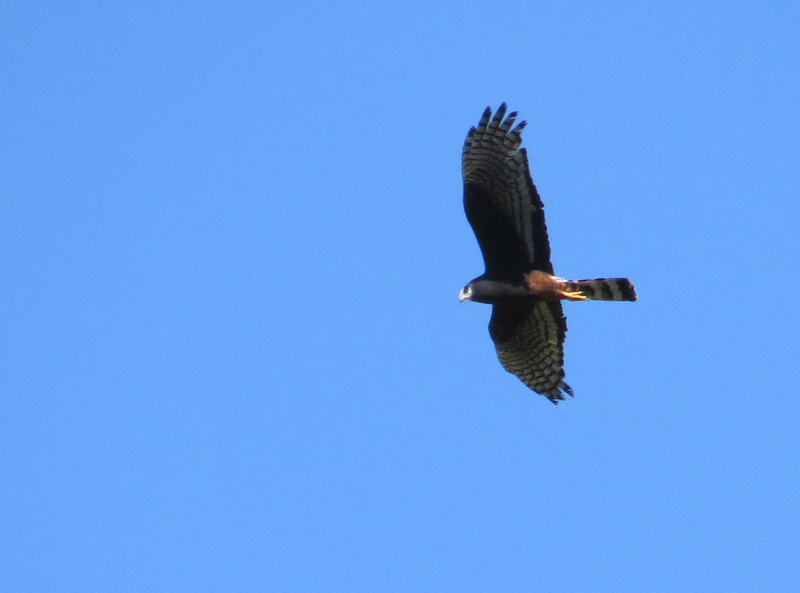 Large flocks of White-faced Ibis flew overhead …. 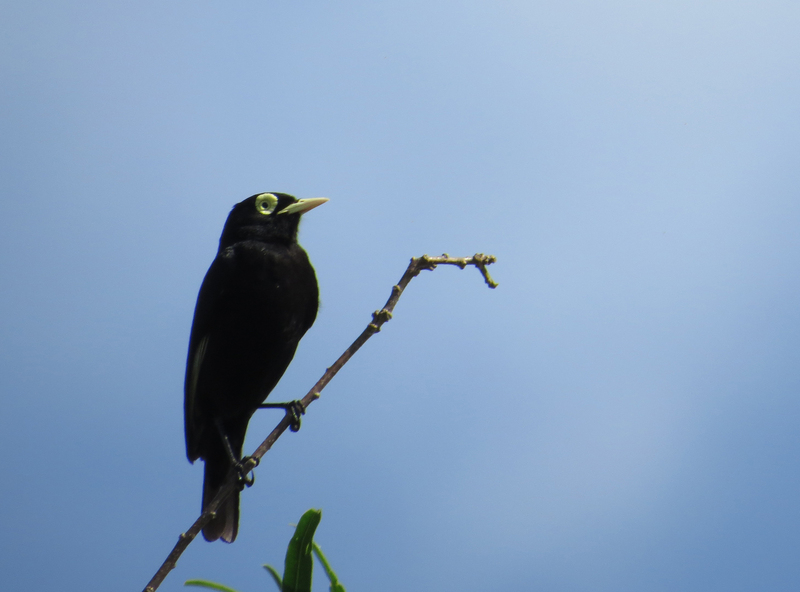 Trees bordering the marsh held Dark-billed Cuckoos …. …. whilst the reeds held both Curve-billed (above) and Straight-billed Reedhaunters. We returned to our hotel on the famous 9 de Julio Avenue in Buenos Aires during the heat of the day. Named after the date of independence in 1816, this enormous avenue is 14 lanes wide. The image of Eva Peron stares down on the traffic jams. Later in the day we drove through the city to Costanera Sur …. …. but the day was a Bank Holiday and the place was packed with many cyclists, noisy kids and loud music. Hardly surprisingly we hardly saw any wildfowl and the much envied Ringed Teal had gone. Terry and I were so glad we made the effort to get here under our own steam before the tour started.